Mary Kelleher: PLEASE JOIN ME THIS THURSDAY NIGHT! PLEASE JOIN ME THIS THURSDAY NIGHT! Irresponsible industry and two-timing politicians and government agencies changed my life. 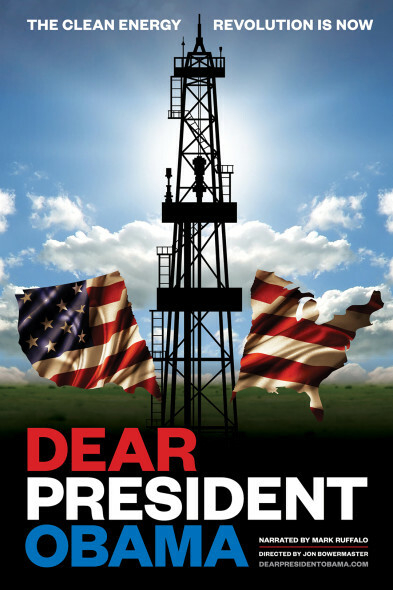 As a Fort Worth citizen devastated by the negative impacts of urban gas drilling, I’m excited to announce the Fort Worth premiere of the documentary Dear President Obama, The Clean Energy Revolution Is Now. The film is produced and directed by National Geographic’s Jon Bowermaster and takes a cross-country look at drilling, highlights stories of its victims, contamination, and the false promise of economic boom, and emphasizes the need for clean energy solutions. Several Fort Worth and area citizens are in this film. I’m honored to be on the discussion panel with Jon Bowermaster, noted oceans expert, award-winning journalist, author, filmmaker, and six-time grantee of the National Geographic Expeditions Council; Dr. Bill Luker, Jr., Urban Environmental Economist with a PhD. in Economics from UT-Austin; Mark Miller, Ph.D. in petroleum engineering, retired professor of petroleum engineering at UT-Austin, and current candidate for Texas Railroad Commission; and Calvin Tillman, former Mayor of DISH, Texas and current Deputy Mayor of Aubrey, Texas. Our panel will be moderated by Reverend Kyev Tatum, minister, civil rights activist, former collegiate athlete, and university administrator. WHAT: Reception with cash bar begins at 5 PM. Meet the director, panel, and locals interviewed for the film. Discussion panel at 6 PM. Film premieres at 7 PM and is 110 minutes in length. The panel will be available after the film to answer your questions and discuss ways you can help. WHY YOU SHOULD ATTEND: Because we're all affected by irresponsible drilling and paid-off politicians and government agencies.